I’ve had a soft spot for Miyasaki movies ever since I first watched the acclaimed Spirited Away and so reading one of the books that inspired another Miyasaki movie was a treat. There is a bizarreness to these stories that is both refreshing and thought-provoking. Howl’s Moving Castle is the story of Sophie Hatter, the oldest daughter of three, who is destined by birth to be a failure. Or so she thinks. When she is cursed by the Witch of the Waste to be an old woman she finds it an inconvenience albeit she is somewhat relieved. Being an old woman grants Sophie a much greater freedom in her actions and speech than what she’s felt as an adolescent. With this new found freedom she leaves the hat shop which has been her prison and heads into the countryside. It is there that she runs across Wizard Howl’s magical castle drifting along. She forces her way inside to get out of the damp and meets Calcifer, a fire demon who powers the castle, and Michael, Howl’s young assistant. Howl himself is a selfish and vain man who has too much interest in the ladies and not enough in common sense. Throughout the book we see how Sophie wins her way into his heart by not putting up with his foolishness. They help each other in turns as they prepare to face the ultimate battle with the Witch of the Waste. There’s a lot to be said about having characters with strong opinions and preferences. In this book we see the importance of speaking up for yourself when we read about Sophie’s life both before and after her transformation. This is contrasted against Howl, who refuses to have any useful discussion with anyone and because of it comes across as cold and uncaring, even though he secretly does care deeply for Sophie. Then there’s the inventiveness of the story elements themselves. First, the totally awesome castle that wanders around the countryside and has a magic door that opens into different cities all over the realm. Not only does this provide Howl and Sophie ease of access to different places but it allows for some whimsy as well. One of the doors is anchored to the very real Wales while the rest are in the magical world. Then you have my favorite character, the fire demon Calcifer who is cursed to live within the confines of chimney and hearth and at times acts like a petulant child, even though he is the most magically powerful of the three main characters. It’s a fun and lively story and a great read for upper middle grade readers all the way to adults. I’d recommend it to readers of Piers Anthony, David Eddings, and Rick Riordan. Want to recommend a book? Let me know in the comments! Have you read Howl’s Moving Castle? What was your favorite part? Favorite Character? Next month (February) I will be reading Inkheart by Cornelia Funke, and in March, Everneath by Brodi Ashton. Come join me! 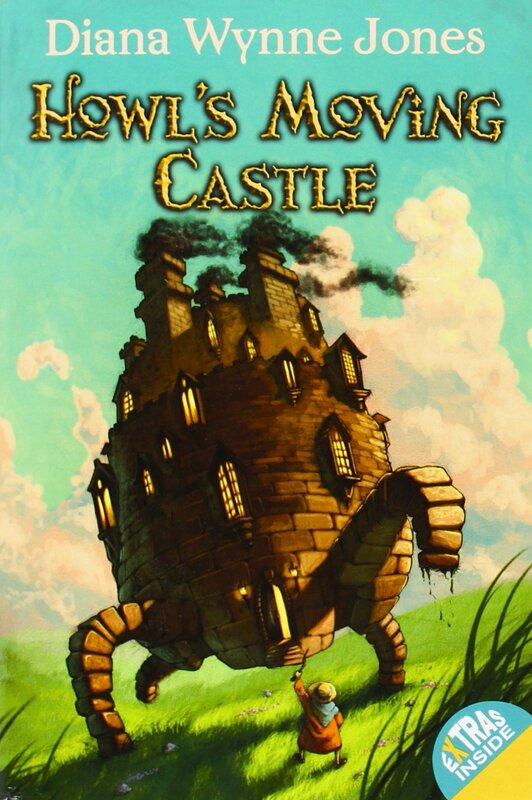 This entry was posted in Book Reviews and tagged Book Reviews, Diana Wynne Jones, Hiyao Miyasaki, Howl's Moving Castle by Jodi. Bookmark the permalink.